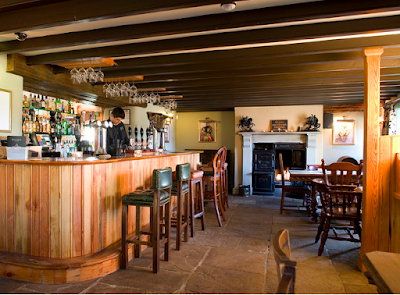 I always try and book a table for us at a nice country pub somewhere on Good Friday. 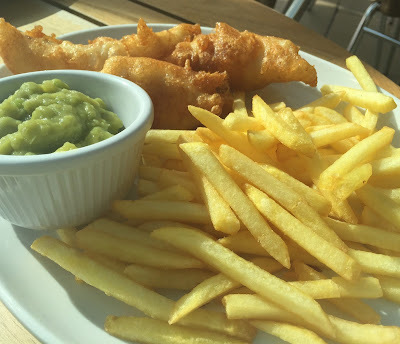 I can't stand the queues and stress of standing in line at a chippy (and trying to find a parking space at the coast) and booking a table somewhere is always a hassle free option. 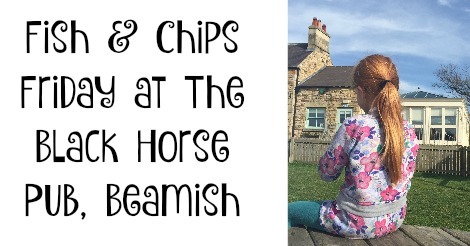 Last year we booked The Old Storehouse in Amble (I didn't blog about it but you can read about another visit here) and although it was lovely I like to try new places. I always try and pick a pub with an outdoor play area and pray for sunshine so the kids can get some fresh air into their lungs. 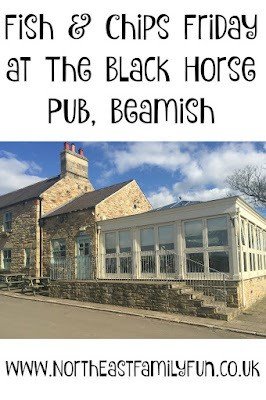 The Black Horse, Beamish had been recommended to us so I promptly booked a table and I have to say I was so pleased we were heading South as the queues along the A1 Northbound toward Northumberland looked horrific! It took us around 40 minutes to get there from our home in Cramlington which wasn't bad at all. 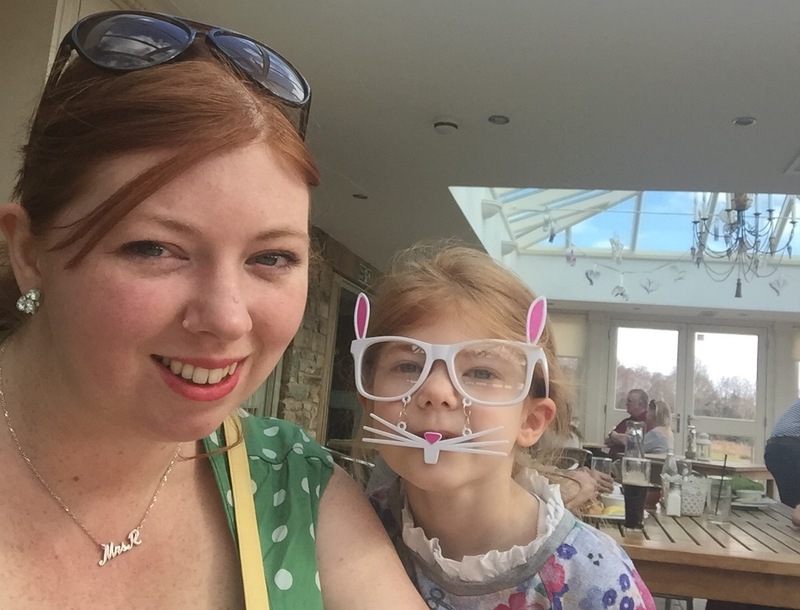 Our first thoughts were that it was such a lovely setting - slap bang in the middle of the countryside with gorgeous countryside views. I had a good feeling! The pub area is lovely and traditional with a smart restaurant too. 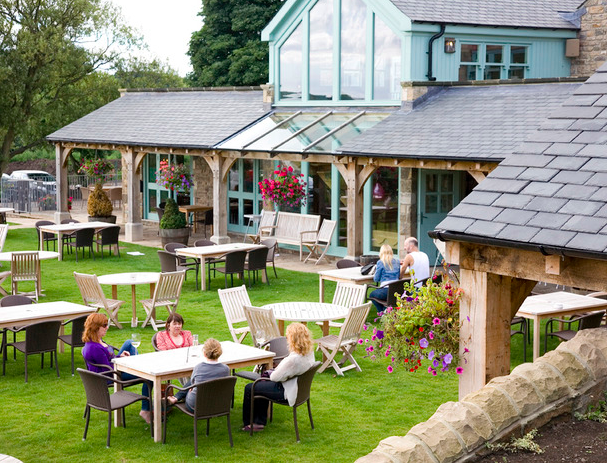 We could definitely see ourselves enjoying a drink by the fire. 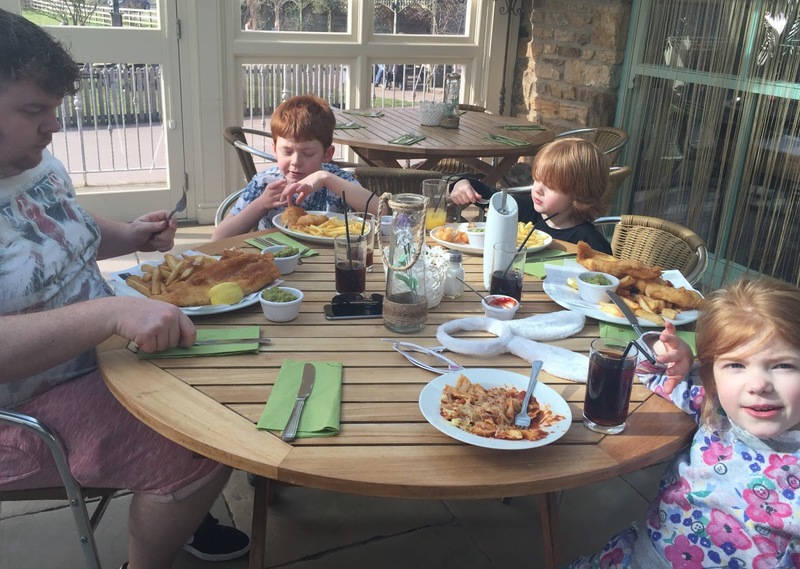 Today thought we were to be seated in the bright and airy orangery room which overlooked the outdoor play area and was filled with other families enjoying their lunch. 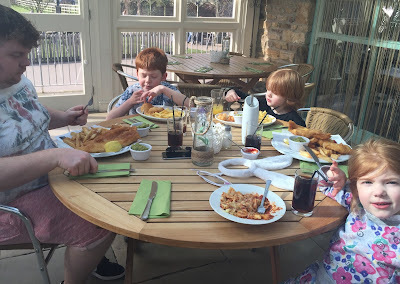 We ordered the Fish & Chips special (along with most of the restaurant) and appreciated the heads up that there would be a 30 minute wait as a table of 30 had just placed an order. There are various dining offers available through the week including burger night, steak night and Fish & Chips Friday where Fish & Chips are only £8.95 instead of their regular £12.95 price. The children ordered their food and then headed straight outside to play on the lovely play equipment and join in with a game of football on the field. We could watch them from our seats. 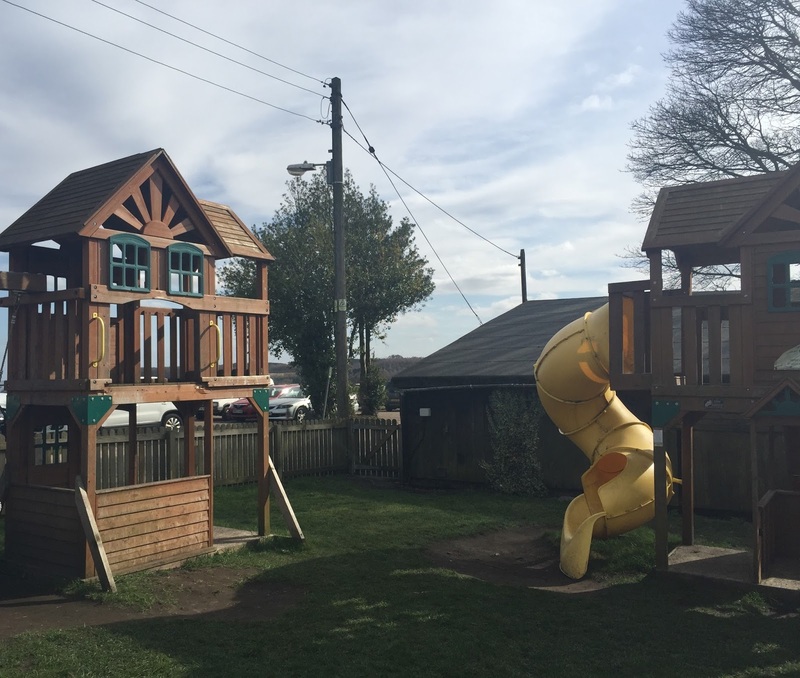 There are lots of seats and tables outside next to the play area and some shaded gazebo-style seating too. I bet this place is packed on a summers day! Not to mention the glorious outdoor bar to the rear of the buliding. The pub also has it's own large orchard, vegetable patch and herb garden and they use home-grown produce where possible. Our food arrived sooner than expected and was absolutely delicious. A real bargain for £8.95. We were offered a selection of sauces and vinegar from a rather fancy bottle. The portions were huge and you could definitely taste the freshness. 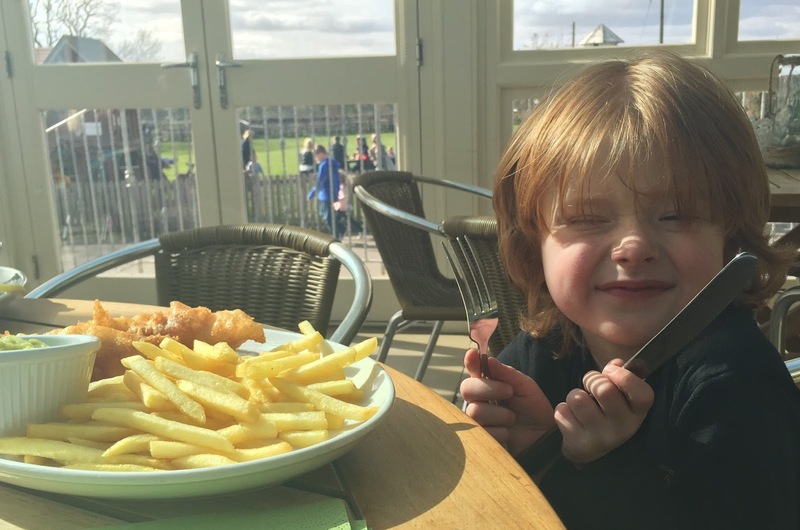 Children's meals are a steal at £3.95 (£4.95 if they aren't purchased with an adult's meal). The children's menu includes a choice of main course, ice cream and juice. 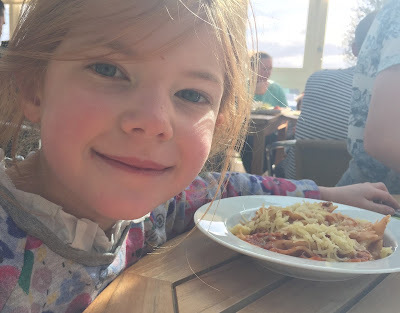 The boys opted for Fish & Chips and Heidi went with her usual pasta. Both were devoured in no time. The fish was just as nice as the grown ups and was clearly freshly prepared. The service we received throughout was spot on. 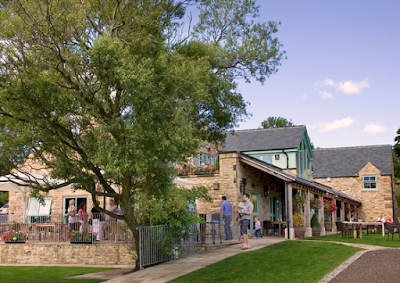 It was very busy but the staff coped very well and were attentive and friendly throughout, checking back at the right moments too. 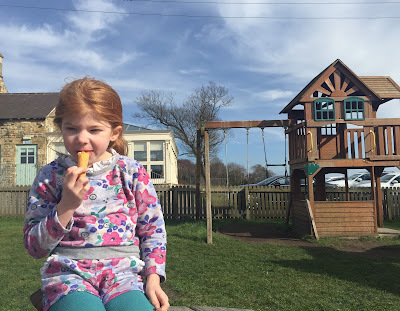 Although I couldn't eat another bean I was rather jealous of the children's ice creams. 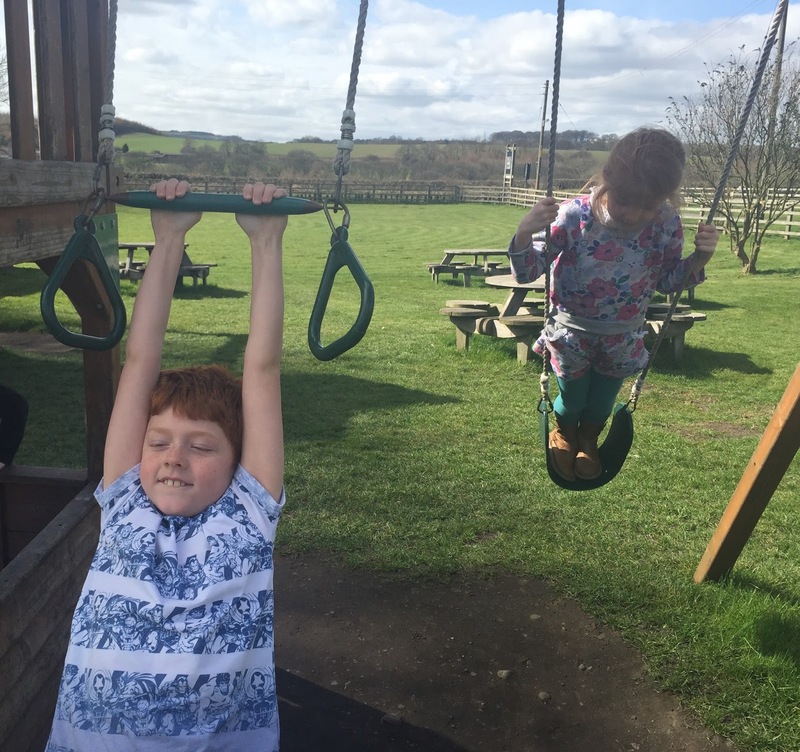 As the sun was shining we decided to finish them in the pub garden. 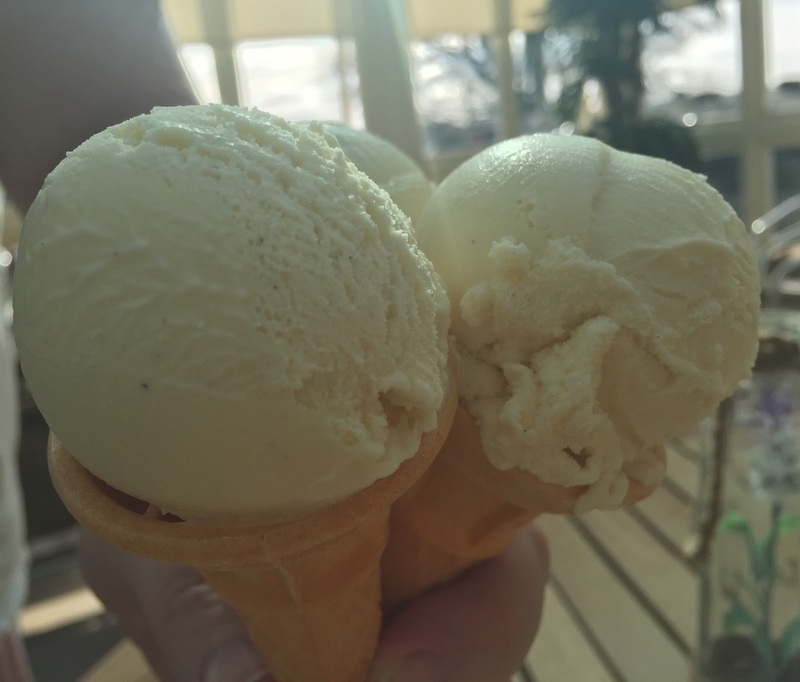 Our final bill was just under £35 which for the 5 of us including ice creams and (non-alcoholic) drinks was a fabulous deal and we thought very good value. We will definitely be calling back in the summer when we are in the area. 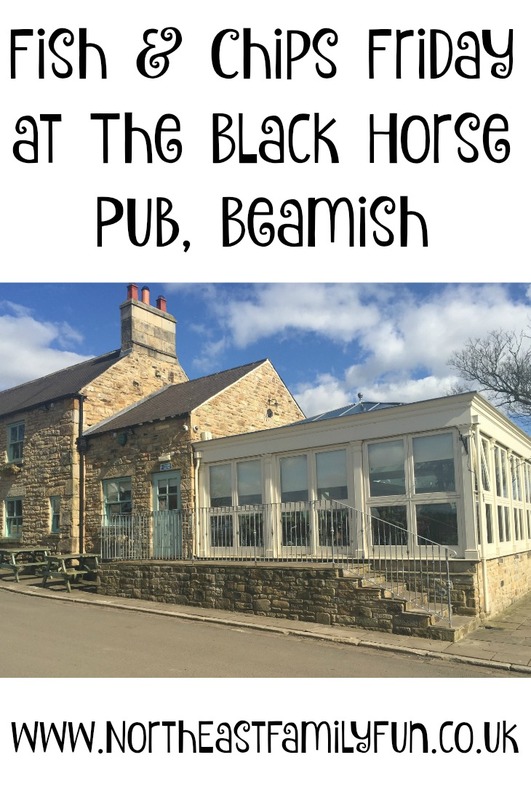 The Black Horse, Beamish is just a few miles away from Tanfield Railway and Beamish and I would highly recommend popping in for a drink or bite to eat if you are visiting either of those attractions this summer. North East Food Lovers Facebook Group. 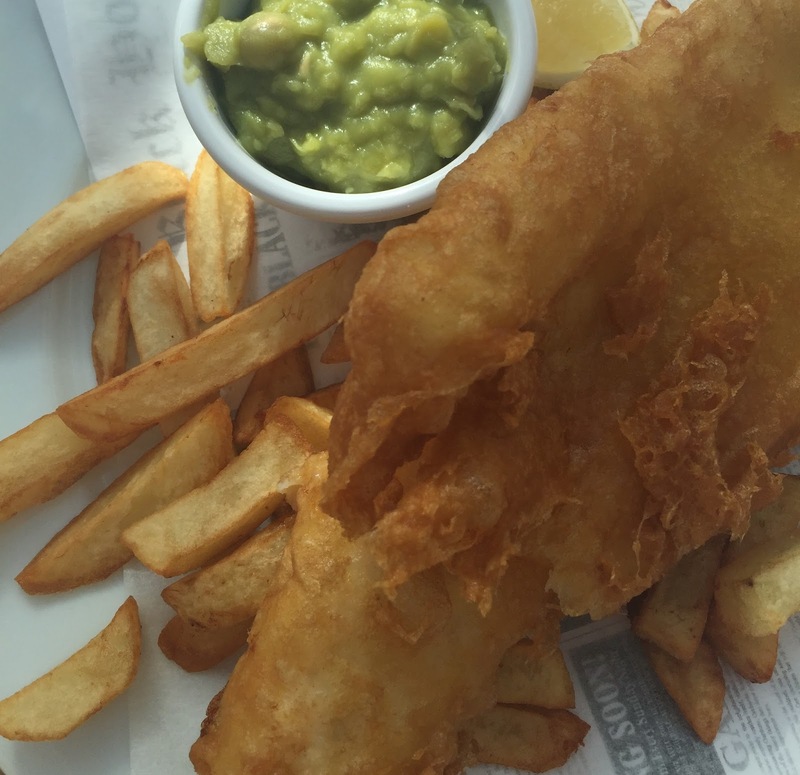 Id never heard of the fish and chip Good Friday tradition until I moved up here. I wonder if it's a North East thing? Your food looks so good, really craving fish and chips now!